The Syrian revolution is a conspiracy devised by the United States: thus goes the discourse of many leftists activists and their newspapers. But behind this vision is a distorted reading of reality and an increasing difficulty in interpreting the complexity of the contemporary world. Which risks making them lose credibility even in the future struggles. Since the revolt in Syria started, many have been convinced that it has been an American-Zionist conspiracy that has been behind the scenes, directing the uprising. They say that the majority of Syrians still support Bashar al-Assad. They say that the living is still good in Syria and that the life conditions were better than in the other Arab states where the revolts broke out. They say that the activists of the opposition and the mainstream media that support them exaggerate the number of victims. They say that right from the start it was an insurrection armed by the United States and Gulf countries. They say that Syria is the last secular State and especially that it is the last bastion, together with Iran, against the policies of the United States and their allies in the region. Expressing this vision of what is happening in Syria since last March are persons who see themselves as belonging to the so-called Anti-imperialist camp. It is difficult to identify with precision those who belong to it: more than anything else, it is with a way of thinking, which emerges when one finds himself in discussion with human rights activists, those who sympathise with the Palestinian cause, anarchists, exponents of social centres (translator’s note, leftist student groups) and many others. In general, those who are against the world order that has the stamp of the United States. But it is a reading that at times also finds its expression in more official ways. 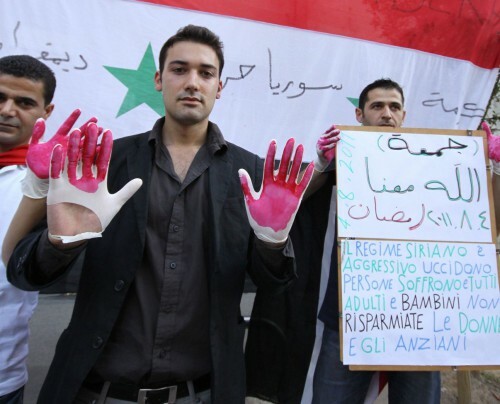 In Italy, an example is il manifesto, which since the start had an attitude regarding Syria that can be called ambiguous at best. Any argument seems valid as long as it deviates the attention from the repression of the regime regarding the protests: the geo-political interests at play, the lack of precision in the count of the victims, the armed character of the revolt, the infiltration by al Qaeda and Iraqi Jihadists. When Che Guevara talks like Kissinger – This is the first point that I’d like to discuss: the cold realpolitik that comprises this way of thinking. Suddenly the discourse of human rights, the defence of freedom at all costs, the opposition to State violence against citizens slip into the background. What counts now are only geo-political types of concerns. Though hidden behind other arguments, the discourse is essentially: the enemy of my enemy is my friend, no matter what he does. Syria and its regime is the enemy of the United States, thus it has to be protected. The Syrian people can be sacrificed on the altar of the global struggle of anti-imperialism, because, too bad for them, they happen to be fighting from the wrong side. What is important is to be against the United States, and anything that goes against the, is fine with me. This passage from a discourse based on ethics to a discourse based exclusively on political concerns seems to be experienced by those who use it without contradictions. Che Guevara all of a sudden starts to talk like Kissinger or Metternich, yet, everything seems normal. What happens on a local level counts for nothing, the struggle of a people for their freedom: the only thing that counts is geo-political equilibrium. An erroneous reconstruction of reality – The second consideration goes under the name of ignorance. Because the contradiction referred to above is often overcome by claiming that it’s not truly a spontaneous revolt, but it is an armed insurrection orchestrated by the United States with the intention to intervene militarily. This is the same script that is used regarding the Iraq war of 2003 or, more recently, that in Libya. If the revolt is authentic, then the humanitarian case does not exist. There is no place here for challenging in detail all the pieces that make up this invented mosaic. And I don’t want to deny that there are foreign interests at play: there always are some. In fact, the longer the revolt lasts and the more that the clampdown of it is bloody, the more that an external intervention becomes pressing and influential, conditioning the future of the country. As a Syrian activist has said: when you don’t know who to turn to, you would even deal with the Devil. But to think that the insurrection in Syria is fruit of a pre-ordained plan from outside is simply false. And for those who know the situation well, for those who have followed every single development since the beginning, there is no shadow of a doubt. 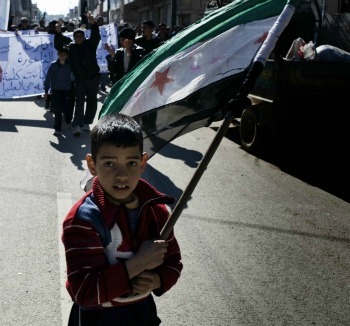 No regional or international power wanted a revolt in Syria. It is sufficient to analyse the declarations of the American administration since last March. After less than a month Hillary Clinto declares that “Assad is a reformer”, dismissing the repression as “disproportionate use of force” and reassures Assad, excluding armed intervention in Syria. On 20 May Obama states that “Assad should lead the transition towards democracy”. On 20 May, Obama repeats that “Assad has to step down in the interest of the Syrian people”. And lastly, 6 February he excludes once more any military intervention. Clearly, it is not what one can call a defamation campaign as the one against Saddam Hussein prior to the invasion of 2003. On the contrary, the doors have always remained open for Bashar al-Assad, even when the brutality of the repression had become clear to all. The Syrian National Council, the main opposition organ abroad, has been recognised only one month ago and by very few countries. And the Free Syria Army, despite all the widespread rumours this year, judging by the rudimentary arms it possesses, has not yet received any help from foreign countries. A revolution against the entire world – The Syrian revolution, as some activists have written, seems to be a revolution against the entire world. Not in the sense that there is any kind of conspiracy against it, but in the sense that the struggle for independence is evidently a solitary struggle. No external actor has the force to intervene, or the intention to place their bets on this revolution. Yet everyone follows it closely, anxious to understand how it will end and to know which horse to bet on so that they can cash in when all is over and done. There are many interests that must be safeguarded, except for the Syrian ones. The truth is that the Bashar al-Assad regime is convenient for everyone, the West and Israel included. Syria and the Assads have always barked tremendously and bitten very little, and they offered stability to the entire area. Fundamentally, Israel needs to have a threat to exhibit in order to continue reciting the role of victim under siege. And the Assad regime constitutes a threat only on paper. On the contrary, a truly independent Syria is a certain loss for someone and the terrible unknown for the others. It is precisely for this reason that the lack of solidarity in those movements and those persons who instead are always ready to participate in protests for Palestine or against the wars of NATO stands out even more as incomprehensible behaviour. It is a world, that of the “anti-imperialists”, which shows that it not only has remained behind in its own incapacity to understand contemporary reality and its transformations, but also to be imprisoned within ideological prisons that impede them from reading the nature of local phenomena in their specificity. They say: one always must read events in a global key. But even if that were true, one first of all needs to read them well, and second, they need to do so without forgetting the persons who live in places where the events take place and who are undergoing more often than not local forces. As the Syrians know well, at times local powers can be more violent and ferocious than global ones. What does it matter to a Syrian if in the end the United States should make gains in geopolitical interests, if this of course is true, if the day before a follower of Assad has killed his brother? The Syrian regime perhaps is not a friend of the West, but it is an oppressive regime that has in recent years started a process of free market policies and policies of centralisation of economic power that resemble unrestrained capitalism, limited only to the need to ensure that the distribution of wealth is compatible with the interests of the authorities. 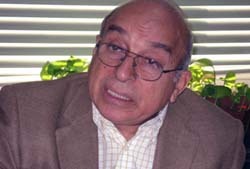 The loss of credibility of international solidarity movements – It is a paradox and disquieting that the insurrection brought forward in the first place in the name of freedom, democracy and social justice, and which is brought ahead by the less advantaged social classes of the country, is perceived as a revolt in favour of global imperialism. Why can’t one simply be on the side of the people and against the forces that limit their freedoms, wherever they may be? But this would already be an operation that is far too complex within the rigid framework of imperialism vs the free world. One is either against Iran or against the United States. These persons in general exhibit a presumptuous scepticism that often translates into a hasty conclusion: the mainstream media lies, therefore, reality is the opposite of what they affirm. In other words, if CNN affirms that there is a massacre in Syria, it means that the revolt has been organised by the Americans. They know how the world works, the others are poor lobotomised idiots who drink down anything that the mass media decides to force their way. But unfortunately, or perhaps fortunately, the world (and also that of the media) is much more complex than that. If it is true that the mainstream media are often subordinated by the agendas of governments, it is also true that one cannot so easily dismiss them and thing that there is a permanent international conspiracy woven by the United States. But all of this, for those pseudo-intellectuals who are sitting comfortably in their own armchairs while people die, is if no importance at all. They should however remember one thing, and that is when they take to the streets again to march for a just cause, against the occupation of Palestine or against another NATO intervention, they will have very much less credibility from now on. Chiudendo gli occhi di fronte al sangue – perché gli attivisti per i diritti umani ce l’hanno tanto con i manifestanti siriani? Ci sono alcune qualità che un’attivista dovrebbe possedere come parte obligatoria del proprio bagaglio. Non tutti devono avere una soluzione ai problemi che affligono le vittime o i deboli nelle cause che sostengono. Nemmeno devono dedicare molto tempo o soldi alla causa. Si potrebbe fare l’attivista oggigiorno localmente o anche se si è disabili o si hanno difficoltà a lasciare le proprie case. Ci si può esprimere, condividere informazioni, e fare azioni di solidarietà attraverso internet. Le qualità, però, che dovrebbero essere a disposizione di ogni attivista includono l’empatia, un po’ di coraggio ed un forte desiderio che “il bene” abbia il sopravento e sconfigga “il male”. Che questo bagaglio così cruciale e obligatorio sia diventato così selettivo deve essere il colpo più fatale all’universo dell’attivisimo. Lo fa puzzare di ipocrisia e serve principalmente la causa degli oppressori. L’empatia è una risposta sociale ed emotiva alle condizioni in cui vivono altri essere senzienti. Siccome tutti noi possiamo concordare che dolore e sofferenza (compresso quello d’essere vittima di abusi, fame e privazioni) sono cose negative, non dovrebbe essere difficile sentirsi male, “come se” quello che succede potesse succedere a noi o alle persone che amiamo. Se siamo capaci di sconnettere l’empatia perché abbiamo un’ideologia cui fare fede, accompagnata da una sorta di strana pressione sociale, qualcosa è andato storto. Se siamo selettivi per un concetto quale il dolore umano e la per nostra capacità di accettarlo (per gli altri), abbiamo bisogno di una lunga pausa di riflessione per pensare ex novo che cosa stiamo facendo nel mondo dell’attivismo. Dobbiamo ricordare che l’empatia potrebbe essere uno strumento per il cambiamento, dobbiamo metterlo al nostro servizio e capire che la gente che soffre (e in alcuni casi gli animali) percepisce il nostro coinvolgimento oppure la nostra indifferenza, e possono servire delle capacità tipiche degli (soprattutto) attivisti per far sì che i sentimenti di empatia si manifestino e vadano verso la fine della sofferenza, che rimane l’oggetto primario ed immediato. Per poter capire, testimoniare ed identificarsi con la sofferenza estrema che è la realtà di alcuni, un attivista deve possedere la capacità di aiutare in una maniera concreta il cambiamento della condizione di dolore e di sofferenza attraverso il riconoscimento della condizione, seguito da azioni atte a intervenire a favore delle vittime. Dall’altra parte, la loro indifferenza potrebbe dare sostegno al violento, all’ oppressore, che crede che la sua violenza sia giustificata. Non c’è stata mancanza di prove per moltissimi mesi che in Siria la situazione attuale è una crisi umanitaria di gravità estrema. A citare alcune statistiche, molte delle quali provenienti dagli organi internazionali considerati come altamente autorevoli come l’ONU, Human Rights Watch, Amnesty International e altri ancora, in undici mesi dalle prime manifestazioni contro il regime, ci sono stati 6.000 civili uccisi, da cecchini, da bombardamenti con mortai, bombe e pestaggi, anche se altre fonti dichiarano che il numero vero è molto più alto, visto che la scoperta di fosse comuni e la “sparizione” di manifestanti è un evento frequente. 70.000 persone sono state arrestate, la stragrande maggioranza senza accuse specifiche oppure accusate di crimini che nessun tribunale normale potrebbe sostenere, compresi crimini di pensiero e di intento. Ci sono stati casi documentati in modo costante di abusi e tortura, con i corpi segnati dalla brutalità che è difficile immaginare. Le scene sono così orribili e devastanti, che in anni ed anni di attivismo per i diritti umani e soprattutto per quelli palestinesi, non ho mai visto questo livello di depravazione, questo livello di crudezza. La settimana scorsca, la città di Idleb ha subito un attacco molto sanguinoso: un gruppo di persone sono state vittime dello scoppio di una bomba di chiodi, che ha conficcato piccolissimi pezzi di metallo nella loro carne, daneggiando gli organi interni e causando emorragia interna fino ad arrivare ad una morte dolorosa. Sono stati trasportati all’ospedale civile per il loro funerale, ma lì, altri 60 corpi erano scoperti nelle celle frigorifere, tutti con segni di tortura estrema. L’ospedale è occupato dalla militia del regime che ha sparato alla gente e proibito a qualsiasi ferito le cure. Gli ospedali ora servono soltanto al regime per rimanere al potere a tutti i costi. L’immagine che è venuta alla mente di un’amica attivista che ha visto le foto erano le immagini di persone faccia in giù nel proprio sangue a Sabra e Shatilla. Ma, questi sono siriani, e per un motivo che non riesco a capire, la maggioranza degli attivisti per la Palestina preferiscono ignorare il tutto. Stano portando gli paraocchi oppure sono incapaci di provare empatia con i siriani? Che ci sono più di 20.000 rifugiati che hanno cercato la salvezza in Turchia nelle tende è un altro numero che dovrebbe essere un dato insopportabile per un attivista. Sappiamo bene quello che è il destino dei rifugiati, il fatto che spesso non possono mai tornare e soprattutto, le condizioni atroci in cui sono costretti a vivere. Un attivista dovrebbe essere preoccupato per tutto questo. Quanti siriani sono fuggiti in Libano o anche più lontano? Nessuno conosce i numeri perché spesso questa gente continua ad essere minacciata e ricercata anche in esilio. Come mai gli attivisti non riescono a capire la severità della situazione? Perché denunciano i manifestanti negli stessi termini che sono usati dal regime, nonostante montagne di prove che dimonstrano che non è un governo umano? Come mai hanno fatto uso di Twitter, Facebook ed i blog per settimane contro lo spray al pepperoncino negli occhi dei manifestanti americani, ma gli assalti mortali contro civili (compreso più di 300 bambini che sono morti per mano del regime, molti di loro soggetti alla detenzione e alla morte per torture) sono ignorati? Sono i Siriani figli di un dio minore? Sono meno degni di protezione e di interesse? E’ mai possibile che studenti universitari americani che dopo la manifestazione possono tornare nei loro dormitori e sanno che le loro vite non sono in pericolo ottengono più comprensione e empatia dagli attivisti che bambini arabi innocenti che hanno perso le loro vite sotto la crudeltà di una milizia repressiva? Alcuni diranno, “Perché dici che è peggio se qualcuno uccide la propria gente?” come una scusa per poi parlare di un altro luogo geografico, un’altra situazione. Altri diranno che il regime di Assad è l’ultimo baluardo contro l’imperialismo, che è l’unico argomento che riescono a trovare. Sono sicuri che dietro tutte le proteste c’è un complotto imperialista, qualcosa che non dicevano per le stesse proteste in Tunisia, Egitto ed a volte, verso l’Intifada palestinese. Molte di queste persone che dichariano che non può essere una rivolta sincera e popolare oppure una rivoluzione vivono in società ricche in Europa e Nord America, dove hanno il diritto di dire qualsiasi cosa vogliono senza avere paura di essere arrestati. Però, non hanno mai fatto parte di una rivoluzione o di una rivolta contro il governo al potere. Altri dicono che non ci deve essere l’intervento esterno, ma fanno il tifo per la Russia, il Libano e l’Iran perchè continuino ad armare il regime perché lo sostengano per il più lungo tempo possibile. Altri diranno che l’Esercito della Siria Libera è una milizia imperialista (???!!!) e che sta fomentando la guerra, non essendo una vera milizia di resistenza. Ancora altri dicono che entrambi i lati hanno la colpa, mettendoli sullo stesso piano, una cosa che non si azzardarebbero a fare se fosse la Palestina. Come è possible mettere a pari merito civili con un potere armato che controlla il governo, l’economia, che potrebbe togliere l’acqua, la corrente e il gas per proprio sfizio, arrestare persone in modo arbitrario a migliaia, chiudere ospedali, invadere città con carri armati, bombardare le persone mentre stanno nelle loro case e mettere cecchini sui tetti, dovesse mai qualcuno provare a scappare? Un mio amico siriano mi ha detto qualche mese fa, “Se solo fossimo degli animali, credo che ci sarebbero più persone a provare la compassione per noi.” Dopo alcune settimane, ha preso atto anche dell’abbandono totale degli Attivisti per la Palestina, che ripetono le posizioni retoriche di Assad senza nemmeno un motivo pratico per farlo se non la loro mancanza di umanità oppure la loro mancanza di occhi per vedere. Mi ha detto, “Dovremmo dire a tutti semplicemente che siamo palestinesi, forse solo allora si sentiranno male per come stiamo morendo.” Io lo porterei ancora avanti il pensiero: alcuni anni fa Vittorio Arrigoni ha scritto un pezzo molto toccante. Io chiedo agli attivisti per la Palestina in modo particolare di leggerlo e rifletterci sopra. In questo momento, queste vittime sono siriani. In questo momento, la media di 40 vittime al giorno (ma cresce negli ultimi giorni), a volte 100 vittime ogni giorno, è ciò che accade in Siria. After almost a year, let’s take a look at the fundamental moments of the revolt in Syrian, running the gamut of repression, the regime’s propaganda and “hope”. From the first protests in Damascus up to the bloody episodes of recent days. A Syrian dissident once told me that ever since the revolts in Syria started, time passes faster than in the rest of the world. If outside, a day goes by, within the borders, it is as if a week has passed. It is hard to think that only a year ago, Syria had one of the most stable regimes in the Middle East. Its president Bashar al-Assad seemed to enjoy a consensus that the other Middle Eastern dictators, starting from Hosni Mubarak, did not have. The economic difficulties hadn’t yet reached the breaking point of tolerance as they had in Egypt. And lastly, the geopolitical position of Syria put several obstacles in front of a possible revolt. For years the Syrian regime had been the only certainty in an area that is dense with ambiguity and problems: the chaos of Iraq following the American occupation, the fragility of Lebanon with its intermittent civil wars, Israel and the occupation of Palestine. No one wanted, and in many ways no one still wants, the sudden and violent fall of the Syrian regime, not even the Western powers, starting from the United States. It is impossible to think of a “calculated” regime change, it is impossible to predict what will happen if the Assad regime, which has lasted 40 years, should fall. All of these certainties collapsed one after the other. No one expected that the Syrian revolution could have reached such proportions and developed in this way. From a year since the start of the revolts, which began in March 2011, Syria today appears to be on the brink of a civil war. The regime’s repression of the uprising in the most recent days has reached its apex. The prolonged shelling of the city of Homs, one of the strongholds of the “rebels”, is bringing about the death of hundreds. A few days earlier, there was the failure and the withdrawal of the Arab League’s observers, after having admitted their own incapacity to put a halt to the violence. Then, the lack of reaching an agreement on the UN resolution from the Arab League initiative that asked for Bashar to step down and to start the transition process towards democracy. A resolution that, though excluding a military intervention, was blocked in no uncertain terms by the double veto of Russia and China. Never before as today are all eyes set on the armed aspect of the revolt, that Free Syrian Army (FSA) constituted prevalently of deserters of the armed forces that since July 2011 has militarily opposed the repression. The United States, though excluding a direct armed intervention, seems to think of supporting the FSA with arms and money, with the help of Turkey, Qatar and Saudi Arabia. On the other side, Russia and Iran continue to support the regime and supply Bashar al-Assad’s militia. In essence, there are all the elements for a sort of “proxy war” with dynamics that resemble those of Vietnam in the 1960s or, to stay in the region, similar to the style of the Lebanese civil wars. The armed revolt and the regime’s propaganda – What is unfolding before our eyes can be defined as a sort of “self-fulfilling prophecy”. The regime has insisted since the beginning that the revolt was an armed on, directed by foreign elements, fruit of an international conspiracy and underscored by ethnic reasons: Sunnis against Alawites. Even when that was evidently not the case at all. In the regime’s version, the repression of the protesters has always been presented as a fight against invisible “terrorists” and against armed gangs that were not identified in any clear way. It had been Bashar al-Assad himself, in a speech held at the People’s Council at the end of last March, to set this narrative of events, deluding a good number of Syrians who hoped at least in a partial recognition of the growing dissent in the country and in the opening towards a pacific exit strategy that at the same time seemed still to be realistic. Today, some of the elements that constitute the regime’s propaganda have become reality: it is true that the armed revolt has assumed a certain importance. It is true that foreign intervention is ever more pressing, first under the form of economic and diplomatic pressure, and perhaps from now on even under the form of military aid. It is true that even the ethnic aspects of the clashes have become more evident. 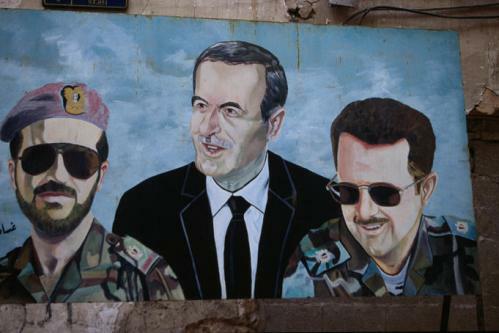 The Alawites, a minority group to which the al-Assad family belongs, are almost all on the side of the regime, as well as how the able propaganda of the regime has always tried to paint the revolt as directed towards the creation of an Islamic state in which the exponents of other religious groups would find themselves emarginated or worse, persecuted. Some of the lies of the regime have transformed themselves, at least in part, into truth. The wind of the Arab Spring – But it has not always been that way. The Syrian revolt started spontaneously and it is still prevalently an authentic revolt, brought forward by the Syrian citizens without the help of anyone. The requests of the protesters are for the most part extraneous to a religious discourse: they are asking for freedom, democracy, social justice. And, despite everything, the peaceful protesters continue to build the true motor of the revolt. Everything had its start in Tunisia and Egypt. 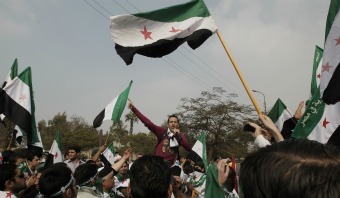 The Syrian revolt would probably never have taken place without the precedent Arab Springs. The domino effect in this case is striking. When the so-called Arab Spring began in North Africa, something in Syria had shaken. Small events, but taken all together make up a definite change in the environment. When I was in Damascus, in the winter of 2010, the transformation was evident. It was enough to look at the debates that were flooding the information sites in that period: there were discussions on the news of the uprisings against Mubarak and Ben Ali, and it is simple to pass from these arguments to the situation in Syria. One almost does not even notice it happening. In substance, the problems are and remain the same in all the Arab countries: corruption, growing gap between the rich and the poor, daily humiliation, lack of freedom, an economy that is on the decline in a way that is seemingly unstoppable. One talks of Egypt and Tunisia, and in reality, one is talking of Syria. The phenomenon doesn’t concern only Internet. Even outside of the web, the atmosphere is visibly changing. The traditional remissive and apolitical nature that has always characterised the population seems to be crumbling. Acts of bullying and arrogance that were once tolerated by perseverance are now met with a growing impatience. In February the first marches were organised, in front of the Egyptian and Libyan embassies, to express solidarity with the Arab Spring. Then something that until only a few months before had been unthinkable: dozens of persons took to the streets of Damascus to protest against the violence of a policeman against the child of a shopkeeper. 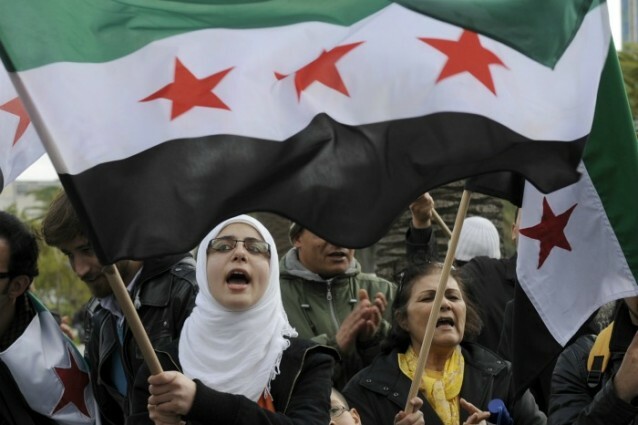 The protesters shouted, “the Syrian people will not be humiliated,” which successively became one of the most widespread slogans in the protests to follow. Damascus was thus the first city to move, something that today might seem incredible. On 15 March, a group of youth gathered together at the suq (market) of Hamidiya: it was the first time that films that had been made using mobile phones had been put onto Internet. Al Jazeera, the pan-Arab network of Qatar, one of the Arab world’s most widespread channels, immediately began to transmit them, also allowing those who did not have an Internet connection to know what was going on. On 16 March, the relatives of some political prisoners gathered in front of the Ministry of the Interior. The security forces intervened with violence, beating the protesters and arresting dozens of them. Small groups of protesters continued to take to the streets, but this was still a limited phenomenon. Until that moment, the only ones to make a move had been the “civil society” of Damascus: a middle-to-upper class of intellectuals and youth who were working in the cultural field, in journalism, civil organisations and human rights groups. The dynamics of the protests had changed in those very days. In the small city of Dera’a, in southern Syria, a group of children with spray paint wrote some slogans against the regime on a wall. The emulation of the Egyptian revolt was quite clear: the writing was imitating the anti-Mubarak slogans used by the young Egyptians of the 25 January movement. The children copied them directly from the reports on Al Jazeera. 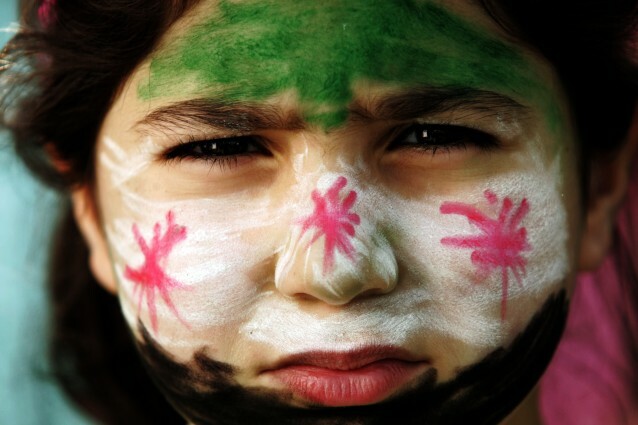 The reaction of the regime was immediate: the children were arrested. The next day their parents and the families of the children took to the streets to protest, encouraged by that same atmosphere that had materialised a few days earlier in Damascus. The security forces intervened, shooting: there were the first deaths. The funerals became the occasion for even larger protests, and the repression was growing more and more ferocious. The nearby villages ran in support of Dera’a. The protesters numbered in the thousands. The Syrian revolt had begun. The evolution of the revolt – From Damascus, the uprising moved to the provinces, and from the elite, it was substituted by the lower-middle class. This takes into consideration very often those same sectors of the population which initially constituted the pillars of the support to the regime: farmers, labourers, office workers and shopkeepers who in the last fifteen years had been abandoned and penalised by the liberalisation reforms. They were the ones who most strongly felt the effects of growing corruption in the circles of power that gravitated around the regime and of the progressive cuts in state aid. Other cities and regions progressively joined the protests: Banyas, Nawa, Homs, Latakia, Idlib, Qamishli, Hama and many others. At the start, the protests were born from various, localised needs: each region has its own requests and its own complaints regarding the regime. Especially, at the start, it was not asked for Bashar al-Assad to step down: the slogans demanded the end of corruption, reforms, more freedom. It’s been the ferocious repression of the regime to give unity to this fragmented chain of uprisings. And, it is the repression of the regime to radicalise the requests of the protesters. As they gradually saw their death toll rise in the dozens, and then in the hundreds of protesters, the legitimacy of the president had progressively crumbled, and the marches became an open revolt against Bashar al-Assad and his regime. It has been a peaceful uprising: no one at the start thought of using arms against the army and the security forces. The control of the military by the regime is total, almost all of the officers are Alawites and their loyalty is absolute. But even this story started to change: someone started to take weapons as a vendetta, then the first individual desertions took place as well as the formation of armed anti-regime groups. The prophecy of the regime became reality as civil war seems to get nearer, even if it is still avoidable. But looking at the current situation, one should not forget how the revolt began, and who is responsible for its degeneration. A quasi un anno di distanza, ripercorriamo le tappe fondamentali della rivolta in Siria, tra repressione, propaganda di regime e “speranza”. Dalle prime manifestazioni a Damasco fino ai cruenti episodi degli ultimi giorni. Un dissidente siriano una volta mi ha detto che da quando le rivolte sono cominciate in Siria il tempo passa più velocemente che nel resto del mondo. Se al di fuori è passato un giorno, all’interno dei confini è come se fosse passata una settimana. È difficile pensare che un anno fa quello siriano fosse uno dei regimi più stabili del Medio Oriente. Il presidente Bashar al-Assad sembrava godere di un consenso che altri dittatori mediorientali, a cominciare da Hosni Mubarak, non avevano. Il disagio economico non aveva ancora raggiunto il limite massimo di sopportazione come in Egitto. E infine, la posizione geopolitica della Siria poneva più di un ostacolo a una possibile rivolta. Per anni il regime siriano aveva costituito la sola certezza in un’area percorsa di incognite e problemi: il caos dell’Iraq dopo l’occupazione americana, la fragilità del Libano con le sue intermittenti guerre civili, Israele e l’occupazione della Palestina. Nessuno voleva, e per molti versi nessuno ancora vuole, una caduta improvvisa e violenta del regime siriano, neanche tra le potenze occidentali, a cominciare dagli Stati Uniti. Impossibile pensare a un passaggio di regime “calcolato”, impossibile prevedere cosa succederebbe se il regime quarantennale regime degli Assad dovesse crollare. Queste certezze sono crollate una a una. Nessuno si aspettava che la rivoluzione siriana potesse raggiungere simili proporzioni e svilupparsi in questo modo. A un anno dallo scoppio delle rivolte, cominciate nel Marzo del 2011, la Siria appare oggi sull’orlo di una guerra civile. La repressione del regime nei confronti dell’insurrezione in questi ultimi giorni ha raggiunto il suo apice. Il bombardamento prolungato della città di Homs, una delle roccaforti dei “ribelli”, sta mietendo centinaia di vittime. Pochi giorni prima, l’insuccesso e il ritiro degli osservatori della Lega araba, dopo aver ammesso la propria incapacità ad arginare le violenze. Poi il mancato accordo per una risoluzione ONU su iniziativa della Lega araba che chiedeva le dimissioni di Bashar al-Assad e l’inizio di un processo di transizione verso la democrazia. Risoluzione che, pur escludendo l’intervento armato, viene bloccata senza mezzi termini dal doppio veto di Russia e Cina. Mai come oggi gli occhi sono puntati sul lato armato della rivolta, quell’esercito siriano libero (ESL) costituito prevalentemente di disertori dell’esercito regolare che dal luglio 2011 si oppongono militarmente alla repressione. Gli Stati Uniti, pur escludendo un intervento armato diretto, pare comincino a pensare di sostenere l’ESL con armi e finanziamenti, con l’aiuto di Turchia, Qatar e Arabia Saudita. Dall’altra parte, Russia e Iran continuano a sostenere il regime e a rifornire le armate di Bashar al-Assad. Insomma si sta profilando una sorta di “guerra per procura”, con dinamiche simili a quella del Vietnam negli anni sessanta o, per restare nel Vicino Oriente, sullo stile delle guerre civili in Libano. La rivolta armata e la propaganda del regime – Quella che oggi si dispiega sotto i nostri occhi ha l’aria di una “profezia che si autoadempie”. Il regime ha sostenuto fin dall’inizio che la rivolta fosse armata, pilotata da elementi stranieri, frutto di un complotto internazionale e mossa da ragioni etniche: sunniti contro alawiti. Anche quando evidentemente non era così. Nella versione del regime, la repressione contro i manifestanti è sempre stata presentata come una lotta a degli invisibili “terroristi” e a non ben identificate bande armate. È stato lo stesso Bashar al-Assad, in un discorso tenuto al Consiglio del Popolo alla fine del marzo scorso, a fissare questa narrazione degli eventi, deludendo non pochi siriani che speravano almeno in un parziale riconoscimento del dissenso crescente nel paese e nell’apertura verso una via d’uscita pacifica che al tempo appariva ancora realistica. Oggi alcuni degli elementi che costituiscono la propaganda del regime sono divenuti realtà: è vero che la rivolta armata ha assunto un peso importante. È vero che l’intervento straniero è sempre più pressante, prima sotto forma di pressioni economiche e diplomatiche e forse da ora in poi anche sotto forma di aiuti militari. È vero anche che gli aspetti etnici dello scontro sono divenuti più evidenti. Gli alawiti, gruppo minoritario cui appartiene la famiglia di Bashar al-Assad, si sono quasi tutti schierati dalla sua parte, anche come risultato dell’abile propaganda del regime che ha sempre dipinto la rivolta come diretta alla creazione di uno stato islamico al cui interno gli esponenti di altre confessioni religiose sarebbero marginalizzati o, peggio, perseguitati. Alcune delle bugie del regime si sono trasformate in, almeno parziali, verità. Il vento della Primavera araba – Ma non è sempre stato così. La rivolta siriana è iniziata spontaneamente ed è ancora prevalentemente una rivolta autentica, portata avanti da cittadini siriani senza l’aiuto di nessuno. Le richieste dei manifestanti sono per lo più estranee a discorsi di tipo religioso: si chiedono libertà, democrazia, giustizia sociale. E, nonostante tutto, i manifestanti pacifici continuano a costituire il vero motore della rivolta. Tutto ha avuto in inizio in Tunisia ed Egitto. La rivolta siriana non sarebbe probabilmente mai avvenuta senza le precedenti Primavere Arabe. L’effetto domino in questo caso è lampante. Quando la cosiddetta Primavera Araba è cominciata nel Nord Africa, in Siria scatta qualcosa. Piccoli dettagli, ma che insieme disegnano un deciso cambio d’atmosfera. Quando ero a Damasco, nell’inverno del 2010, la trasformazione era evidente. È sufficiente guardare ai dibattiti che affollano i siti d’informazione in quel periodo: si commentano le notizie sulle insurrezioni contro Mubarak e Ben Ali, ed è facile passare da questi argomenti alla situazione in Siria. Quasi non te ne accorgi. In fondo i problemi sono e restano gli stessi in tutti i paesi arabi: corruzione, crescente differenza tra ricchi e poveri, umiliazioni quotidiane, mancanza di libertà, un’economia che declina apparentemente in modo inarrestabile. Si parla di Egitto e Tunisia, e in realtà si parla di Siria. Il fenomeno non riguarda solo internet. Anche al di fuori della rete l’atmosfera sta visibilmente cambiando. La tradizionale remissività e apoliticità che ha sempre caratterizzato la popolazione sembra cominciare a sbriciolarsi. Atti di bullismo e prepotenza che prima erano tollerati a testa bassa sono ora accolti con crescente insofferenza. A febbraio vengono organizzate le prime manifestazioni, davanti alle ambasciate egiziana e libica, per esprimere solidarietà alla Primavera Araba. Poi è accaduto qualcosa che era impensabile fino a qualche mese prima: decine di persone a Damasco scendono in piazza a protestare contro la violenza di un poliziotto nei confronti del figlio di un negoziante. I manifestanti gridano “il popolo siriano non sarà umiliato”, che successivamente diverrà uno degli slogan più diffusi nelle proteste successive. Damasco è quindi la prima a muoversi, cosa che oggi può sembrare incredibile. Il 15 marzo gruppi di giovani si riuniscono al suq (mercato) Hamidiya: è la prima volta che vengono girati e sono diffusi in rete i filmati realizzati con telefoni cellulari. Al-Jazeera, la rete pan-araba del Qatar, uno dei canali più visti del mondo arabo, comincia immediatamente a trasmetterli, permettendo anche a chi non ha una connessione internet di sapere cosa sta succedendo. Il 16 marzo i parenti di alcuni prigionieri politici si riuniscono di fronte al ministero dell’interno. Le forze di sicurezza intervengono duramente, colpendo con forza i manifestanti e arrestandoli a decine. Piccoli gruppi di oppositori continuano a scendere in piazza, ma si tratta di un fenomeno ancora limitato. Finora a muoversi è stata unicamente la “società civile” damascena: una classe medio-alta di intellettuali e giovani che lavorano nel campo della cultura come giornali, organizzazioni civili, gruppi di diritti umani. La dinamica delle proteste è cambiata in quegli stessi giorni. Nella piccola città di Deraa, nel sud del paese, un gruppo di bambini muniti di bombolette spray scrive sui muri slogan contro il regime. L’emulazione della rivolta egiziana è fin troppo chiara: le scritte sono copiate da slogan anti-Mubarak usati dai giovani egiziani del 25 gennaio. I bambini le hanno copiate direttamente dai report di Al-Jazeera. La reazione del regime è immediata: i bambini vengono arrestati. Il giorno successivo i genitori e le famiglie dei bambini scendono in piazza a protestare, incoraggiati da quella stessa atmosfera che si era materializzata qualche giorno prima a Damasco. Le forze di sicurezza intervengono, sparando: ci sono i primi morti. I funerali divengono occasione per manifestazioni ancora più ampie, e una repressione ancora più feroce. I villaggi vicini corrono a sostegno di Deraa. I manifestanti si contano a migliaia. È cominciata la rivolta siriana. L’evoluzione della rivolta – Da Damasco l’insurrezione si sposta alla provincia, e alle elite si sostituiscono ceti medio-bassi. Si tratta molto spesso di quegli stessi settori della popolazione che prima costituivano il pilastro di sostegno del regime: contadini, operai, impiegati e piccoli commercianti che negli ultimi quindici anni sono stati abbandonati e penalizzati dalle riforme di liberalizzazione. Sono loro che hanno maggiormente risentito della crescente corruzione dei circoli di potere che gravitano intorno al regime e del taglio progressivo degli aiuti statali. Altre città e regioni si uniscono progressivamente alle proteste: Banyas, Nawa, Homs, Latakia, Idlib, Qamishli, Hama e tante altre. All’inizio le proteste nascono da esigenze diverse, localizzate: ogni regione ha le proprie richieste e le proprie lamentele contro il regime. Soprattutto, all’inizio non si chiede la caduta di Bashar al-Assad: gli slogan domandano la fine della corruzione, riforme, più libertà. È la repressione feroce del regime a dare unitarietà a questa catena frammentata di sollevamenti. Ed è la repressione del regime a radicalizzare le richieste dei manifestanti. Man mano che i morti arrivano a decine, poi centinaia di manifestanti, la legittimità del presidente si sgretola progressivamente, e le manifestazioni divengono un’aperta rivolta contro Bashar al-Assad e il suo regime. Si tratta di un’insurrezione pacifica: nessuno all’inizio pensa di poter usare le armi contro l’esercito e le forze di sicurezza. Il controllo dell’esercito da parte del regime è totale, quasi tutti gli ufficiali sono alawiti e di fedeltà assoluta. Ma anche questa storia comincia a cambiare: qualcuno comincia a prendere le armi per vendetta, cominciano le prime diserzioni individuali e la formazione di gruppi armati anti-regime. La profezia del regime diviene realtà e la guerra civile sembra avvicinarsi, anche se è ancora evitabile. Ma nel guardare la situazione attuale non bisogna dimenticare mai come la rivolta è cominciata e di chi è la responsabilità della sua parziale degenerazione. Torniamo indietro fino al 1967 quando Hafez Al-Assad era il Ministro della Difesa siriana. Era considerato come direttamente responsabile per la sconfitta nella Guerra di Sei Giorni nel 1967. Il 15 settembre 1970, King Hussein dichierò la legge marziale. Il giorno seguente, carri armati giordani (La Brigata 60° dell’Esercito Giordano) attaccarono la sede delle organizzazioni palestinesi ad Amman; l’esercito ha anche attaccato campi in Irbid, Salt, Sweileh, Baq’aa, Wehdat e Zarqa. 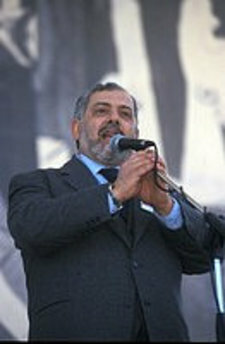 Quando una parte dell’esercito siriano sotto il commando della divione siriana dell’Esercito per la Liberazione della Palestina (PLA), decise di assistere i loro fratelli palestinesi, trovarono con loro la 40° Brigata dell’Esercito Giordano. L’Aeronautica Militare Siriana, sotto gli ordini di Assad, non entrò mai nella battaglia. C’erano tra i tremila e i cinquemila soldati palestinesi uccisi. Dopo il danno d’immagine causato dal totale fallimento dell’Esercito siriano di prendere parte nella Guerra dei Sei Giorni nel 1967, e iracondo dopo l’abortito intervento nella guerra Giordana-Palestinese di settembre, all’interno del governo iniziò un conflitto tra le varie posizioni. Quando il Presidente Nureddin al-Atassi ed il leader de facto, il Vice Segretario Generale del partito Ba’ath Jadid, si resero conto della situazione, ordinarono che Assad e Tlass fossero privati di ogni potere di partito e di governo; ma era troppo tardi. Assad iniziò velocemente un golpe intra-partito senza spargimento di sangue, la Rivoluzione Correttiva di 1970. Il partito fu epurato, Atassi e Jadid imprigionati ed i lealisti di Assad si istaurarono nelle posizioni chiave in ogni settore del governo. La guerra con Israele nel ottobre 1973 (per me è la “Recita d’ottobre” e non la Guerra d’ottobre) che era stata presentata dal governo siriano come una vittoria, fu in realtà un disastro, poichè alla fine della guerra l’esercito israeliano aveva invaso grandi porzioni della Siria, con posizioni fino a 40 km da Damasco. Dopo questa data, fino ad oggi, il confine siriana con Israele è stato il più sicuro, calmo e silenzioso di tutti. Il 12 agosto, 1976, l’esercito di Assad con alcune fazioni libanesi (Phalange, Guardiani dei Cedri e Tigre forze di milizia) attaccò il più grande assembramento di soldati palestinesi nel campo di Tel al-Zaatar. Fu un massacro; il campo ospitava oltre 60.000 rifugiati palestinesi, più 2.500 soldati del OLP. Furono uccisi 1.500 palestinesi, (1.200 di essi civili), tra i leader della fazione armata libanese (Michel Aoun), l’attuale amico del regime siriano. Un’altro colpo duro inferto ai palestinesi dopo il suo ruolo nel Settembre Nero fu il 19 maggio, 1985 quando scontri pesanti si sviluparono tra Amal e la milizia del campo rifugiati palestinese per il controllo dei campi di Sabra, Shatila e Burj el-Barajneh a Beirut. Amal, era sostenuta prevalentamente dagli sciiti della 6° Brigata dell’Esercito Libanese. Essa a sua volta si trovava sotto il comando di alcune divisioni dell’ 8° Brigata, prevalentemente cristiana, fedele al Generale Michel Aoum (di nuovo), il quale era stazionato a Beirut est. Praticamente tutte le case nei campi furono ridotto a macerie. Amal fu supportato fortemente dalla Siria e sostenuto indirettamente da Israele (Sì, Israele), mentre l’OLP non ha goduto di molto sostegno dall’estero. Amal ebbe anche il vantaggio sull’OLP per quanto riguardava equipaggiamento, soprattuto veicoli corazzati (forniti direttamente dall’Esercito siriano); Amal fu inoltre sostenuto dall’Aeronautica Militare dell’Israele (IAF) che lanciò alcuni raid aerei contro postazioni palestinesi (Saidon 1986). Questa guerra (La Guerra dei Campi) finì con l’espulsione di ogni militante palestinese dal Libano (un’altro ruolo sporco giocato da Assad contro la resistenza palestinese). Ecco il sostegno che il regime degli Al-Assad ha dato alla resistenza palestinese! E ancora volete considerarlo un’eroe che sostiene la resistenza contro i sionisti?! In 2000, quando Bashar andrò al potere, tutta la popolazione siriana lo sostenne, anche se non fu eletto democraticamente, ma per il popolo – che a questo punto pensò con un po’ d’amnesia –cambiamenti radicali avrebbero potuto portare il Paese al caos, e preferì accettare Bashar, che promisse loro cambiamenti politici ed economici di grande portata. Fu quindi creduto da tutti, me compreso. Infatti, moltissime persone avevano creduto in lui, come Aref Dalila che nel 2001 fu tra gli attivisti incoraggiati dal senso di ottimismo mentre Bashar al-Assad, il giovane nuovo presidente stava facendo i suoi primi passi come capo dello Stato. Ecco quale fu lo spirito del periodo che fu chiamato la “Primavera di Damasco”. Ma una dura presa di coscienza con la realtà fu necessaria nel settembre di quell’anno, quando Sig. Dalila e nove altri furono rastrellati ed arrestati in una repressione governativa. Il suo crimine? Promuovere l’idea di riforme e di parlare contro la corruzione ad ogni livello – una questione in cui senza dubbio poteva dire di avere possedere autorevolezza, essendo stato uno dei principali economisti del Paese che servì come professore alle Università di Aleppo e Damasco. Alcuni fanno menzione di come lui fu un caso davvero particolare, essendo una rara voce critica dalla setta Alawita, la minoranza cui appartiene il presidente e quello che ha sempre dominato il potere dal momento che Hafez al-Assad prese il potere in 1970. E mentre il governo siriano ebbe goduto di una considerevole rivalutazione diplomatica, gli attivisti per i diritti umani sostennero sempre che pochissimo cambiò in questo campo dal momento che Sig. Dalili fu sequestrato dalla sua casa dagli agenti della sicurezza in borghese. Un numero di attivisti molto conosciuti furono arrestati con Sig. Dalila e poi rilasciati e ora sono di nuovo sono dietro le sbarre, insieme con decine di altre persone che sono detenuti per motivi politici. Pochissimi attivisti pensano che la situazione potrebbe migliorare, a dispetto del miglioramento dei rapporti internazionali. 14 rami dei servizi segreti erano attivi, mentre solo 5 università funzionavano, facendo si che fosse molto più facile per i cittadini siriani di essere arrestati o cominciare a lavorare per uno di questi servizi piuttosto che fare gli studi universitari. In 11 anni, nulla è cambiato, se non in peggio. La corruzione è il pane quotidianno di ogni siriano, la disoccupazione è al 20%, il capitalismo si è lentamente istaurato in Siria, e non esiste più nulla del socialismo, se non un nome senza significato sui testi ufficiali. Perché vedo che ci sono persone che non conoscono affatto la faccia vera del regime degli Al-Assad, e il loro scopo nella vita è di andare dove nessun imperialista o politico americana mette piede, quindi, vedono nel (non esistente) sostegno degli USA alla siriani che protestano un’indicazione che la loro rivolta non è niente altro che una aspirazione occidentale. Questo è assolutamente e totalmente sbagliato…. Abbiamo visto gli USA che invadono Afghanistan, Nicaragua, Iraq, Groenlandia e altri Paesi senza ascoltare l’opinione russa o cinese o cercando di ottenere il loro consenso, perché proprio ora stiamo talmente interessati in quello che pensano e di quello che faranno con la risoluzione all’ONU? Stiamo ora vivendo questa repressione brutale in Siria. Che cosa è la risposta adeguata quando l’impulso democratico di un qualsiasi Paese è calpestato dall’ecessivo e disumano uso di forza dello Stato? Alcuni parlano ancora di una transizione pacifica e democratica! Non è crudele di occupare la mente con fantasie di trasformazioni democratiche di fronte a uccisioni di massa? Quando la gente mette la sua vita in pericolo ogni giorno per gli ideali rivoluzionari, non è quello dei critici solamente un gioco intelletuali irrilevante? Noi, progressisti o gente di sinistra, non dobbiamo comunque dubitare la paradigma di una trasformazione in ogni caso? Poi, ci sono i fatti. Uno di questi fatti è che il regime siriano ha da molto tempo posseduto uno dei più brutali meccanismi di controllo nella regione. E mentre i massacri indiscriminati piovano sulle teste dei civili, gli studiosi della storia non possono non vedere gli echi del massacro sanguinoso in 1982 a Hama. Quello che serve al popolo siriano è solamente l’umanità con la sua coscienza. GRAZIE Eugenio Dacrema per l’aiuto. Dobbiamo delle scuse al popolo Siriano per ogni giorno che furono macellati prima che i nostri occhi (potessero vedere) durante i passati undici mesi. I popoli Arabi li hanno delusi ed hanno guardato dai bordi come se “il cuore dell’Arabismo” è divenuto circondato da Arabi senza cuori. Da Venerdì 3 a Venerdì 10 Febbraio, 755 Siriani furono uccisi, e dall’inizio della leggendaria Intifada a metà Marzo lo scorso anno, il regime di Assad ha ucciso 8.000 persone. Altri 10.000 sono scomparsi e le prigioni Siriane sono riempite da numeri incalcolabili. L’unico crimine che queste persone hanno commesso è di domandare dignità e libertà per il loro Paese, dopo quasi 45 anni di tirannide ed oppressione. Durante i mesi scorsi, non abbiamo visto nulla della Syria ma un Paese macerato dal sangue del proprio popolo. Le sue strade traboccano di precessione funerarie delle vittime, e le sue città sono minacciate di devastazione e distruzione al suono delle voci che chiedono libertà. L’unica cosa ad essere udita è il ronzio dei missili e bombardieri; l’angoscia di coloro intrappolati che chiedono la fine dei massacri, le urla di coloro che insistono a rovesciare il regime, ed i sostenitori per ogni Arabo od intervento internazionale che possa frenare i nuovi attacchi Tartari (Huns). Questo crimine, che è stato in corso per gli undici mesi passati, ha mosso duramente ognuno nel mondo Arabo dove la maggioranza pensa che sia sufficiente seguire gli eventi in televisione, come fanno con ogni soap opera Turca! Ironicamente, il mondo Arabo e Musulmano si scosse con rabbia quando Salman Rushdie ha pubblicato i “Versi Satanici”, ed ugualmente quando un quotidiano Danese ha pubblicato dei cartoni del Profeta Muhammad (Maometto) (pace su di Lui), ma poco importa riguardo il massacro in corso contro il popolo Siriano. E mentre capisco la legittimità nell’esprime rabbia quando una violazione viene commessa contro le sacre scritture, io sono sorpreso al caso contrario in difesa della dignità dei Musulmani. Questo, in parte, mostra l’estensione dello squilibrio nei prevalenti concetti che separano fra la dotrrina e la dignità di una persona. Questo confina gelosia e protezione al primo ma non si estende al secondo. Questo, mentre si conosce che le dottrine sono protette da Dio, mentre la violazione della santità del popolo e la loro dignità rappresentano un attacco ad uno dei diritti di Dio che richiede vigilanza, condanna e chiama a stringersi intorno e punire l’oppressore. Se qualcuno dovesse dire che la Lega Araba ha intrapreso iniziative, ha iniviato controllori ed è andata al Concilio di Sicurezza allo scopo di guadagnare un po’ di influenza nei confronti del regime di Damasco, io non sarei in disaccordo. Tuttavia, la Lega Araba rappresenta i governi e non il popolo. Gli osservatori sono andati in Siria, e sono tornati indietro non avendo fatto nulla che possa cambiare l’equazione. Invece, il regime di Assad ha capitalizzato nella loro missione per guadagnare tempo allo scopo di terminare la soppressione delle manifestazioni. Con riguardo al Concilio di Sicurezza, questo approccio è stato abortito dai Russi e Cinesi usando il loro veto. Non ci sono più iniziative capaci di risolvere questo problema internazionalmente eccetto per la conferenza di Amici della Siria sollecitata dalla Francia, ed una conferenza parallela sollecitata della Turchia. I più importanti sviluppi ufficiali che hanno preso posto nel livello Arabo sono stati il ritiro della Missione dell’Osservatore, l’espulsione degli ambasciatori Siriani dalla Tunisia e dai Paesi del Concilio di Cooperazione del Golfo (GCC), e la ricognizione della Libia da parte dei Concilio Nazionale rappresentante la rivoluzione Siriana. Nel caso della Libia, era chiaro che la caduta di Gheddafi si è verificata per l’intervento della NATO. Questo è stato ripetuto nello Yemen dal lancio dell’Iniziativa del Golfo con chiaro supporto Occidentale, e dove il Presidente Ali Abdullah Saleh non ha avuto scelta se non lasciare alla fine. Nel caso della Siria, le cose sono più complesse alla luce dell’impossibilità dell’intervento internazionale, l’impossibilità della riconciliazione fra il popolo ed il regime dopo tutto il sangue che è stato versato, l’intrattabilità dell’azione militare interna, e la fragilità della pressione Araba. Ciò significa tre cose: in primo luogo, che il regime Siriano è ancora relativamente coerente e può andare avanti a meno che ci sia una sorpresa inaspettata. In secondo luogo, che nell’attuale clima Arabo ed internazionale, sembra che il popolo Siriano sia destinato a combattere la propria battaglia da solo. Ed in terzo luogo, che questa battaglia sarà estesa, che la sofferenza del popolo continuerà e con questa, il pedaggio dei sacrifici ed il dolore aumenteranno. Raccogliendo forza attraverso i fattori interni così come attraverso il supporto regionale ed internazionale, il regime Siriano è a suo agio nel trattare con il popolo Siriano nel modo in cui vuole, ed è riluttante nel fare un passo indietro. Quindi, tutti i suoi slogans di cambiamento e parlare di dialogo nazionale e riforma politica sono senza senso, e non vengono più prese seriamente. E’ divenuto chiaro a tutti che sono scuse per guadagnare tempo. Internamente, il regime Siriano dipende dalla sua forte presa di sicurezza, e dal supporto di gran parte del segmento della minorità Alawita che il regime utilizza come spaventapasseri non solo per spaventare il popolo con la probabilità di una guerra civile, ma anche per spaventare il vicino della Siria, la Turchia, che ha più di dieci milioni di cittadini Alawiti. Il regime Siriano utilizza la carta della minoranza etnica e religiosa non soltanto per spaventare gli altri delle sue alternative, ma anche per sfidare ed intimidire i suoi vicini. Nella faccia della pressione Turca, ad esempio, si agitano entrambe le carte gli Alawiti ed i Kurdi. Sebbene i Kurdi della Siria sono 200.000, maggiormente nella provincia di Qamishli, nel nord della Turchia, ci sono più di 12 milioni di Kurdi ed il loro conflitto con Ankara ha una lunga storia. Il regime ottiene forza anche attraverso l’esteso supporto Iraniano che è accompagnato dal supporto Iracheno e dal supporto degli Hezbollah in Libano. E’ risaputo che c’è un’alleanza strategica fra Siria ed Iran ove Teheran fa affidamento sul regime di Assad, e non sul popolo Siriano, e che la coalizione protegge i due Paesi, da un grado od un altro, di fronte alla minaccia Israeliana. Comunque, anche l’Iran ha i suoi motivi religiosi. Esso rafforzerebbe la posizione della setta Alawita più vicina agli Sciiti in Siria, e rafforza la posizione degli Hezbollah in Libano. Il cambio del regime a Damasco non soltanto pone questa equazione a favore dei Sunniti in Siria, minaccia anche il cambio della situazione in Iraq, in quanto rafforza i Sunniti là di fronte ai dominanti partiti Sciiti fedeli all’Iran. La conclusione è che il regime Siriano, nella sua resistenza ad ogni cambio politico, deriva forza da diverse carte che tiene in mano e si riscalda contro l’alterare l’equilibrio delle forze regionali. Il messaggio che il regime di Assad desidera inviare ad ognuno è che se è cattivo, ciò che comunque può venire dopo la sua morte sarebbe molto peggio. Come per l’arena internazionale, il regime Siriano sta contando sul supporto di Russia e Cina, come è stato visto nel veto utilizzato dai due Paesi nel Conciglio di Sicurezza. Ciò che spinge i due Paesi ad attuare questa presa di posizione è che essi sono contro l’incremento dell’influenza Americana nella Regione. Essi hanno detto esplicitamente che i Paesi Occidentali li hanno “ingannati” quando hanno deciso di non opporsi all’imposizione dell’embargo aereo in Libia. Là, la NATO divenne impegnata nelle operazioni militari, e Russia e Cina furono ignorate – uno scenario che loro non vogliono veder ripetersi. In aggiunta, la Russia ha relazioni speciali con Damasco in quanto ha una base di servizio militare al porto di Tartus, e tutte le armi Siriane vengono acquistate da Mosca. Come per la Cina, è delicato appoggiare ogni cambiamento democratico attraverso il Concilio di Sicurezza e non vuole che il Concilio di Sicurezza inferferisca negli affari interni di ogni Paese in quanto ciò potrebbe ritorcersi contro Pechino ed aprire un numero di files interni, causando imbarazzo. Da quando l’Egitto ha firmato il suo trattato di Pace con Istraele nel 1979, praticamente ha abdicato il suo ruolo di comando, ed è caduto in un coma a lungo termine che continua a persistere. Durante questo trance, non lo ha tenuto solo per lui, ma ha pure aderito alla campagna dei cosiddetti “moderati” che praticamente si risolvono nell’orbita delle politiche Americane. Uno può soltanto immaginare la eco in tutto il mondo Arabo che hanno portato le azioni della “grande sorella”. L’atmosfera della Primavera Araba ha sopraffatto vari Paesi e li ha resi occupati dai loro affari interni. Il ribaltamento dei regimi richiede un grande sforzo dato che altri nuovi devono essere stabiliti il che, distoglie l’attenzione da altri eventi importanti che prendono posto nell’arena Araba. Alcune delle élites ricordano ancora la posizione del regime Siriano a supporto della resistenza palestinese. Loro considerano questa posizione positiva come uno che assolve l’errore, e sono sospettosi dei membri dell’opposizione Siriana. Il file Siriano è molto più complicato di quanto molti percepiscono che sia. Non c’è disaccordo che il regime a Damasco è dominato da una manciata di cattivi ragazzi, ma che le forze esterne che cercano di rovesciarlo sono anch’esse guidate da una lunga linea di cattivi ragazzi anche – una materia che sgretola parecchi che stanno ora pesando preferenze fra il male che conoscono e quello che non conoscono. L’internazionalizzazione del problema è divenuta sospetta dopo l’esperienza della NATO in Libia. La situazione che stiamo trattando ora è più difficile, perché la Libia ha solamente ricchezza di petrolio, mentre la Siria è unita ad una nuova mappa dell’Est, e forse tutto il Medio Oriente se teniamo conto dell’impatto della caduta del regime Siriano in Iran e Turchia. Cosa fare poi? La mia risposta è che dovremmo gridare pazzamente dicendo NO al continuo dei massacri, e NO all’intervento della NATO. Considerato questo, non abbiamo scelta se non renderci conto che il collasso del regime di Assad si frappone fra di noi ed aspettando una soluzione Araba che può applicare pressione per fermare i massacri e spedire l’autorità al popolo Siriano. Sembra che non ci sia altra scelta prima di noi se non affidarsi ai popoli Arabi, che si sono finalmente svegliati ed hanno aumentato le loro voci che furono per così tanto tempo oscurate dai regimi autoritari. Abbiamo recentemente sentito le voci di quei popoli nelle manifestazioni in Tunisia, Libia e Mauritania. Fin quando non si sente la voce del resto dei popoli Arabi, particolarmente del popolo dell’Egitto, dobbiamo offrire le scuse al popolo Siriano per averli delusi ed aver omesso di dichiarargli solidarietà. Se loro non ci perdonano o non accettano le nostre scuse, allora sono scusati. Io non sono autorizzato ad offrire delle scuse, ma io la offro a nome mio sentendo un alto grado di tristezza e vergogna. Raramente la linea di demarcazione che si trova tra le forze della moderazione e le forze dell’estremismo è stata così chiara in Medio Oriente. L’estremista anti-occidentale, guidato dall’Iran sciita e costituito dall’ Iraq (in gran parte operante per volere dell’Iran), Siria e Libano, sono stati fortemente sovvenzionati, negli ultimi tre decenni, dalle risorse finanziarie di Teheran. La capitale politica ora è in grave pericolo di crollo grazie alla crepa nel suo anello più critico: il regime di Assad in Siria. D’altra parte, la tragedia umana in Siria ha creato un interesse comune, rara tra i vecchi ed i nuovi regimi arabi, Turchia, Stati Uniti e l’Unione europea per far emergere le potenzialità di un governo rappresentativo a Damasco. Tuttavia, mentre l’Iran, la Russia e la Cina stanno facendo tutto il possibile per evitare la caduta di Assad, le forze internazionali e le forze regionali moderate, devono ancora raccogliere la sfida. A meno che questa libera alleanza di forze moderate chiuda i ranghi e si imbarchi su uno sforzo decisivo per rompere la Mezzaluna sciita, il popolo siriano sarà lasciato solo ad affrontare una strage continua e perderà l’occasione storica di entrare in un nuovo, pacifico e potenzialmente più democratico orientamento in Medio Oriente. La Turchia si distingue soprattutto per la sua influenza e la valutazione di quello che otterrebbe da un coinvolgimento più forte delle forze di moderazione. Infine, le riforme introdotte dal governo di Assad, che annunciano il referendum su una nuova costituzione, con elezioni parlamentari sono solo un espediente volto a guadagnare tempo. Pertanto, nessuno deve sorprendersi che queste riforme fasulle sono state supportate dalla Russia e, più recentemente, dalla Cina. Riforme che non saranno accettate dal popolo siriano che ha sacrificato così tanto solo per accontentarsi delle briciole, pretese sotto la costrizione di un governo che ha perso l’orientamento e la credibilità. Assad e la sua corte ha rifiutato di assumere un impegno solido e, successivamente, è stato coinvolto in una totale prevaricazione sistematica – per tutto il tempo in cui persistono violente repressioni. Il problema della Siria non sta nella formulazione delle sue leggi, ma nel regime stesso che elabora e implementa queste leggi. La prossima riunione della LA, in Tunisia il 24 febbraio, dovrebbe capitalizzare il forte messaggio inviato dalle 137 nazioni al consiglio generale delle Nazioni Unite, che condanna l’assalto delle forze di sicurezza siriane sui suoi cittadini, fornendo quel sostegno morale che va al di là delle polemiche e apre la porta all’azione reale sul terreno. I membri del campo moderato dovrebbero attuare le misure coraggiose come la creazione di un “Corridoio Umanitario libero” ritagliandosi una porzione di territorio siriano al confine Nord con la Turchia . Come in Libia, una no-fly zone air-pattugliata dalla NATO e gli Stati membri della LA, dovrebbe essere immediatamente istituita su questo corridoio, ma senza impegnarsi in combattimenti con le forze governative, fatta eccezione per la difesa del corridoio. Il corridoio, da un lato fornirebbe un rifugio umanitario sicuro per i rifugiati civili in fuga dalla violenza e l’accoglienza per i militari disertori da una parte, e dall’altro servirebbe come base per armare l’esercito siriano Libero, come hanno recentemente sostenuto i senatori John McCain e Lindsey Graham, entrambi membri del Senate Armed Services Committee. Inoltre, il corridoio consentirà al Consiglio nazionale siriano (SNC) di mettere un piede sul terreno siriano, preparando così il terreno per il suo riconoscimento da parte della Lega Araba, potenze musulmane occidentali e altri. Inoltre, il SNC dovrebbe istituire un governo ombra composta da professionisti non-ideologici e tecnocrati che inizino a pianificare un accordo per l’era post-Assad. I Membri della NATO, in particolare la Francia (che ha già avanzato l’idea di un corridoio aereo umanitario nel novembre scorso), così come la LA probabilmente sosterranno tale proposta. Israele può tranquillamente contribuire aprendo e monitorando da vicino la frontiera con la Siria per i rifugiati provenienti dal sud della Siria, in quanto la zona nord, totalmente assediata dalle forze di sicurezza, non sarebbe per loro praticabile. Questa azione israeliana può essere fatta in coordinamento con la Giordania, che confina sia con la Siria e Israele. Ma la più grande responsabilità è della Turchia con il pieno sostegno della Lega araba. Di tutti i membri moderati del campo, la Turchia è la più grande delle parti interessate in Siria. Breve di un intervento della comunità internazionale, l’attuale conflitto in Siria si trasformerà presto in una vera e propria guerra civile che inonderà la Turchia con i rifugiati, potenziare la base PKK nel nord della Siria, e garantire un’influenza allargata iraniano sue immediate vicinanze, tutti a svantaggio della Turchia. Allo stesso tempo, la Turchia è meglio situato geograficamente e politicamente, per consentire e sostenere la creazione di questo corridoio lungo il confine sud-est. Una Turchia che prende l’iniziativa non solo dimostrare una vera leadership in Medio Oriente e rafforzare ulteriormente la sua alleanza con l’Occidente, ma anche di colmare le sue relazioni con un mondo arabo che è diventato sempre più preoccupati per un neo-ottomano nella politica estera regione. Per Ankara, è il momento di riconciliare con la realtà amara che non c’è via di mezzo: o fermare l’Iran, in Siria e terminare i campi di sterminio o consegnare la Siria al dominio iraniano, in tal modo incoraggiando ulteriormente l’Iran a perseguire la sua ambizione di diventare potenza egemone della regione potenzialmente dotato di capacità nucleari. Per tutti gli effetti, la Siria è diventata il campo di battaglia tra le forze della moderazione e le forze dell’estremismo in Medio Oriente. Deboli tentativi da parte della comunità internazionale porterà da nessuna parte finché ignorare le realtà del regime baathista in Siria. Allo stesso tempo, ogni prospettiva di raggiungere un qualche tipo di un accordo concordato da Assad, che ha lo scopo di responsabilizzare il popolo siriano è un’illusione. Rimuovere la Siria dalla stretta dell’Iran, tuttavia, pur liberando il popolo siriano Assad da catene avrà drammatiche conseguenze geopolitiche come sarà anche cambiare l’equazione di potenza in tutto il Medio Oriente. A dire il vero, il disaccoppiamento Siria in attesa Iran sarebbe sottolineano ulteriormente l’isolamento regionale e internazionale di Teheran e potrebbe evitare un’azione militare contro l’Iran da Israele o gli Stati Uniti, il cui scopo sarebbe quello di porre fine alle sue ambizioni nucleari. La vittoria dell’Iran e co. in Siria sarebbe catastrofico per la regione e deve essere interrotto l’opportunità attualmente disponibili. Garantendo un cambiamento di regime di sostegno del desiderio del popolo siriano per la libertà, la Mezzaluna sciita sarebbe rotto e mettere pressione insormontabile contro l’Iran per porre fine alla sua ingerenza negli affari dei suoi vicini arabi. In a world in which communication has become a duty, the silence that reigns over the Syrian tragedy is even more shameful. Only yesterday, Tuesday 21/02/2012 in the city of Homs there were 400 rounds of shells launched upon the defenceless city for the 18th consecutive day. In this slaughter which is being consumed before our very eyes, no one is spared, not even journalists, killed under the cannon mortar. – Why are outside journalists now allowed to report from Syria? – Why are the International Red Cross and the Red Crescent forbidden from operating in Syria? – Why are all the Syrian cities under siege? – Why are non-government agencies not allowed entry into cities such as Hama or Baba Amr and other Syrian cities? The protesters have reported widespread use of chemical weapons against civilians, carpet-bombing, bombing of hospitals and mosques, shortages or absence of food, water and medicine, lack of gas and electricity. For over a month, there has not even been oxygen for the sick who need it. Four hundred victims in only a few days. Among them women, children, the elderly. What is going to have to happen so that this genocide will stop? What other excuses do people need to fabricate in order to maintain their shameful silence? 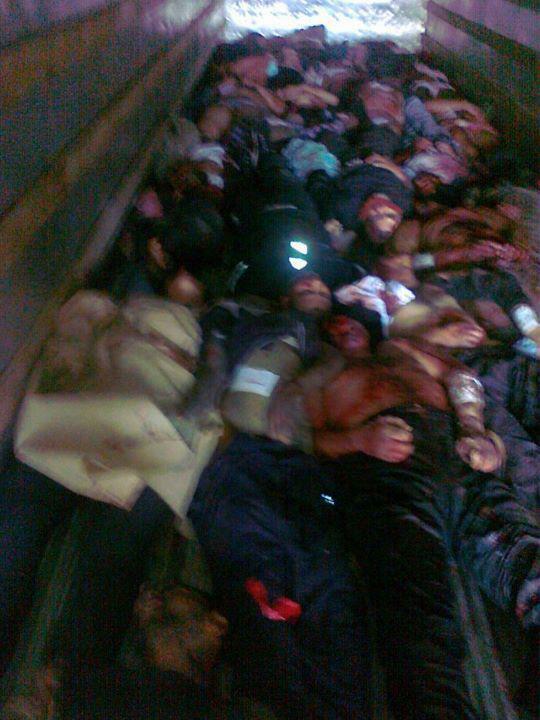 And thus, to remain accomplices of this state terrorism adopted by the criminal dictatorship of the Syrian regime? 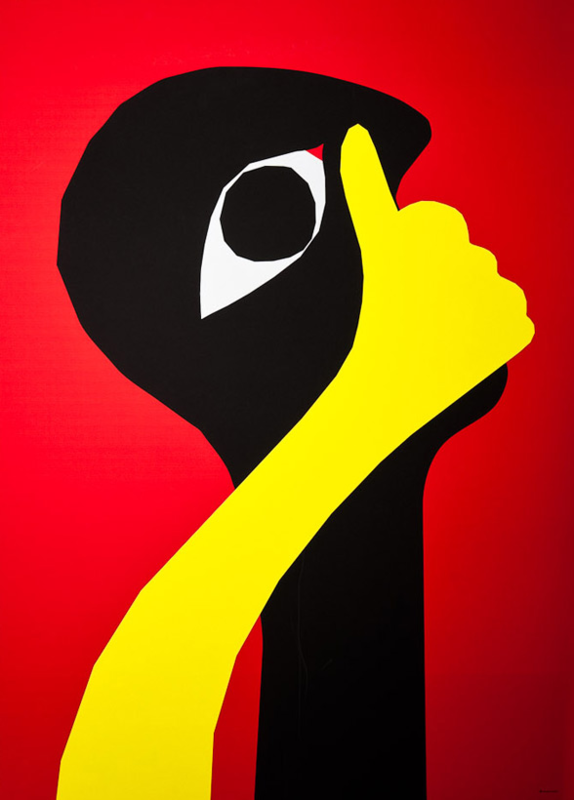 In un mondo in cui la comunicazione è diventata dovere è quanto più vergognoso il silenzio che si cela sulla tragedia Siriana. In questa mattanza che si sta consumando nessuno è risparmiato, nemmeno i giornalisti, uccisi sotto i colpi di mortaio. – Come mai non sono ammessi altri giornalisti? – Come mai non è permesso alla croce rossa internazionale o alla mezza luna rossa operare in loco? – Come mai le città di tutta la siria sotto assedio? – Come mai non si permette alle organizzazioni non governative di entrare nelle città come HOMOS e BABA AMR e nelle altre città Siriane? I rivoltosi denunciano l’uso di armi chimiche, bombardamenti a tappeto, bombardamento di ospedali e moschee, la mancanza di viveri, acqua e medicinali, gas e corrente. Nemmeo l’ossigeno per i malati è presente oramai da più di un mese. Quattrocento morti in meno di pochi giorni, donne, bambini e anziani. Cosa bisogna aspettare ancora per fermare questo genocidio? Quali altre scuse bisogna fabbricare per rimanere ancora in questo vergognoso silenzio, e dunque, complice di questo terrorismo di stato adottato dalla dittatura criminale del regime Siriano? Doctor Mohamed Nour Dachan is the Italian delegate of the Syrian Coalition of Support to the Syrian Revolution. Born in Aleppo, Syria 65 years ago, he has been living in Italy for 45 years. Doctor of Medicine and Surgery, he has various specialisations and works as a family doctor. Currently he is the President Emeritus of the Union of Islamic Communities of Italy (UCOII) of which he is among the founders, and of which he was the acting President until two years ago. Recently he participated in the meeting of the Syrian National Council with the Italian Foreign Affairs Minister Giulio Maria Terzi di Sant’Agata. The Syrian National Council has promoted a national protest in Rome to be held on the date of 19 February, which has as its slogan “Let us stop the massacre of the innocents”. He has accepted to answer our questions regarding the Syrian situation, and for this, we are grateful. In his words, one can feel the suffering of who, still very young, was forced to leave his own country, bringing him to firmly oppose the Assad government. But, and this should be stressed, it is also an appeal to not leave anything untried for a peaceful solution, without arms or war, to the Syrian crisis. It is a hypothesis on which he works intensively. Following is the text of the interview. Giovanni Sarubbi (GS): Doctor Dachan, you have been living for many years in Italy, and you have become a member of the Syrian National Council. Can you kindly explain to us the reasons for your choice and describe what forces comprise such Council? Dr. Mohamed Nour Dachan (MND): To become a member of the SNC is not a novelty for me, seeing that for many years I have chosen freedom and democracy and that during these years I have fought against dictatorships and injustice and for this reason, I could not hesitate to give my contribution to my country of origin. The SNC joins together very many components of the Syrian opposition, an opposition that has a wide variety of elements, given that there has been over 40 years of dictatorship which has slowly but surely allowed the birth of one opposition group after the other. The advantage of the SNC is that it has the largest opposition groups taking part in it: religious, secular and liberal ones. GS: What do you propose to do, what is your programme and by the means of what initiatives and instruments do you plan on realising your goals? MND: The programme is to support the peaceful revolution of the Syrian people, to work and raise awareness to all the world’s countries so that they help us to obtain the fall of the Syrian regime. GS: What relationship do you have with the Free Syrian Army? 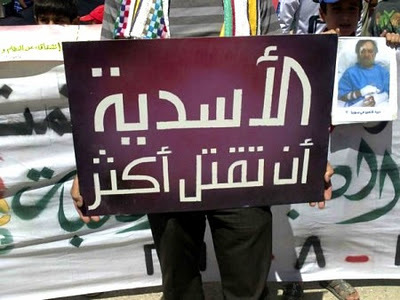 MND: There has to be some clarification regarding the name: it is called Free Syrian Army, which means that they are soldiers, officers and non-commissioned officers who have chosen to refuse shooting at unarmed civilians and it is not an offensive army that is at war, but it has exclusively the task of defending the protests. It is constituted of a bilateral commission which has started its collaboration between the SNC and the Free Army. GS: The Syrian National Council has been recognised at an international level by some countries such as France and the USA. What relationships have you got with these countries? Don’t you believe that this support could harm your cause and the liberation of your people from oppression? MND: The SNC has not yet been recognised by any country, but there have been meetings with several countries, both Arab-Islamic and not. 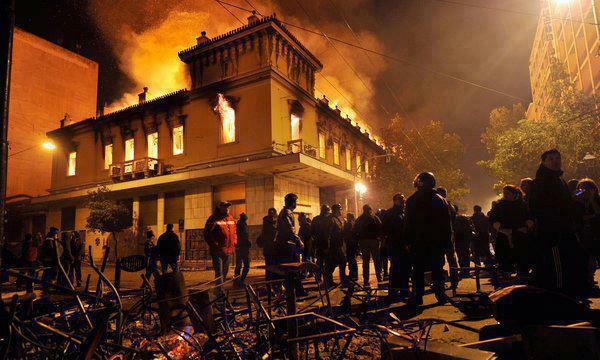 For the time being, the only country that has expelled the Syrian Ambassador has been Tunisia, and Libya is preparing to give the SNC official local offices, in addition to other countries such as Turkey where the SNC has its actual headquarters. GS: You have recently had a meeting with the Foreign Affairs Minister of the Italian government. What have you asked of the Italian government and what response did you receive? MND: We have already had a meeting with the previous government’s Foreign Affairs Minister Frattini, and successively with Minister Terzi: our first requests have been to obtain support for the Syrian revolution with all possible means and to remove the support and collaboration they have with the Syrian regime. The relationship has begun very well and we hope that the collaboration is continuous and fruitful. MND: We don’t have any particular nation in mind, but in the time that has passed, eleven months with massacres each and every day – (and this is only my personal point of view) much more could have been done and perhaps much more can be done, if the positions of China and Russia had been different. The forces in play by the regime are the army and the forces of the security services. Certainly, the Assad family and those dependent upon it have a sole objective: to continue to rule. GS: In point 28 of the Report of the International Observers in Syria it is written: “The Mission had made note that various parties reported that there had been explosions of violence in many areas. When the observers had gone to these areas, they found that this information was unfounded.” Just as in all wars, the first victim is the truth and correct information. What can you say, from your point of observation, on what is truly going on in Syria? Do you have direct sources of information on all the things that are taking place? 3. The number of observers was supposed to be 5,000, and instead those who had actually arrived were only 150, some of whom could not even be able to observe a high school graduation test in any high school at all! The Syrian government, with its excuse of protecting them, first sent in the police forces and then they themselves made these very observers be accompanied by the security forces, in this way, they ensured that the people were terrified and they did not speak with anyone. Of course, we have direct sources, and we are able to communicate with them now in every way that is possible, including those that are widespread communication instruments: Facebook, emails, cell phones and so forth. GS: What is your point of view on the various proposals of solution to the Syrian crisis that have been set forth by different international organisations? MND: We are favourable to any proposal at all which is peaceful but protects civilians, and most importantly, immediately stops this barbarity. GS: There are about ninety associations, unions and parties, among them FIOM-CGIL, which have taken the position against any hypothesis of a new war in Syria, similar to what has recently been fought in Libya. From your point of view, is a pacific solution possible for the Syrian crisis, without wars or the intervention of foreign powers in your country? MND: I thank you for this question and allow me to express an appeal, because some forces and some friends with which we have already shared in some activities and sit ins, when faced with the massacres of the Syrian people, are not evaluating the human question, but the political question, as if we were in the Cold War. The revolution started with the actions of children, and still today, each day its characteristic feature is the peaceful protesting in the street and squares. To allow a dictator to keep on assassinating his own people or to join in a war as the one in Libya? Between the two things there are actually many solutions, and for this I invite all the free and democratic men and women to take the side of the people: one simply cannot say, “we are against the war” in words, and then support the government that is using its own army against defenceless people. We ask our brothers and sisters who are against the war to join us with other solutions, but with a sole objective: to immediately put an end to the massacres. Thus ends the interview. Obviously, whoever is against the war in Syria does not support any regime or any assassin, whoever it is committing these acts, but believes that one must to all that is necessary to find peaceful solutions to the crisis.